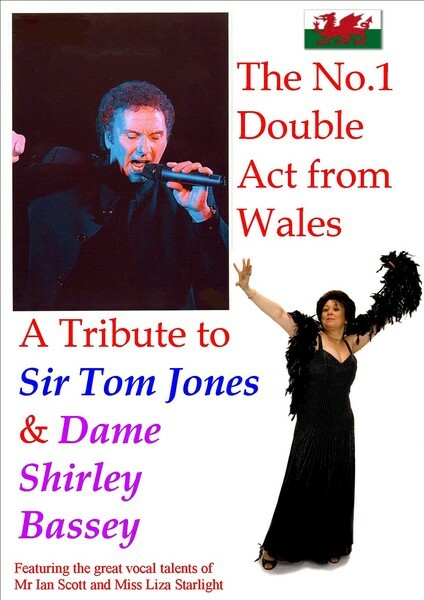 TOM JONES TRIBUTE NO.1 Takes on the big song from Tom and hits all the notes perfectly!! 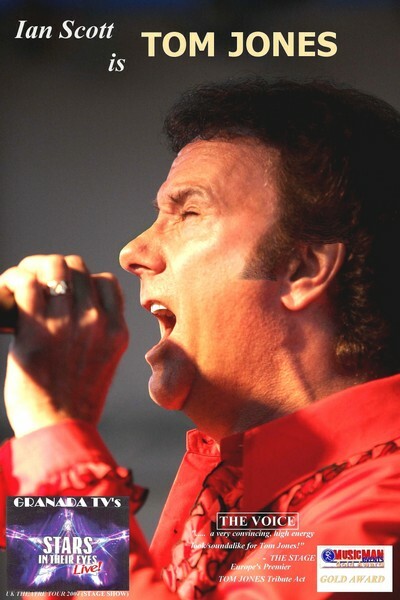 A TOM JONES TRIBUTE-A1 ACE Act Tom Jones Tribute International No.1 Act aka Absolutely Tom Jones Tribute- Ian Scott has received a GOLD AWARD for his amazing Tom Jones Tribute Act from Dubai to Barbados to Greece to Spain. Ian is absolutely unmatched and unrivalled in his achievements over the last 11 years. 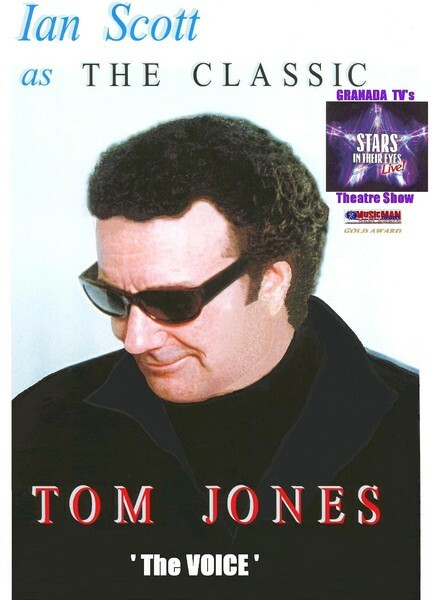 He travels nationwide and worldwide appearing as the headline Tom Jones Tribute show on the Cruise Liner Ocean Village in the Caribbean and the Medirerranean. 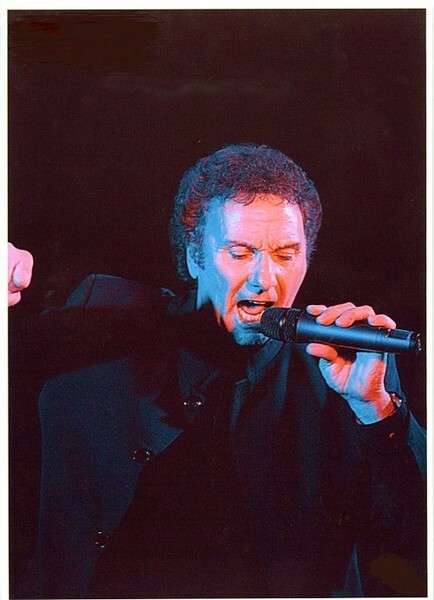 He has worked with his own live band and is recognised as the "VOICE" on the Tom Jones Tribute artiste circuit. Available for every kind of event large or small. 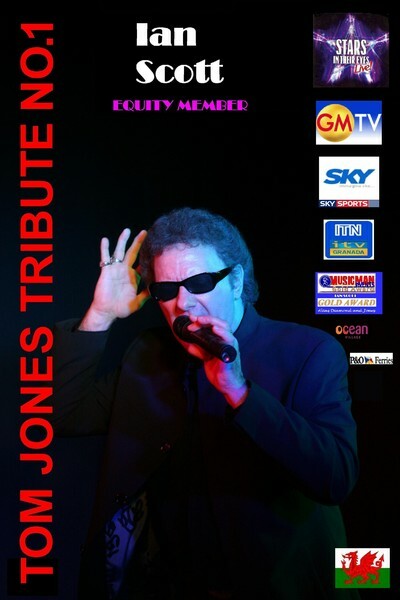 This is THE Tom Jones Tribute International- the ONLY Tom Jones Tribute you will ever need! 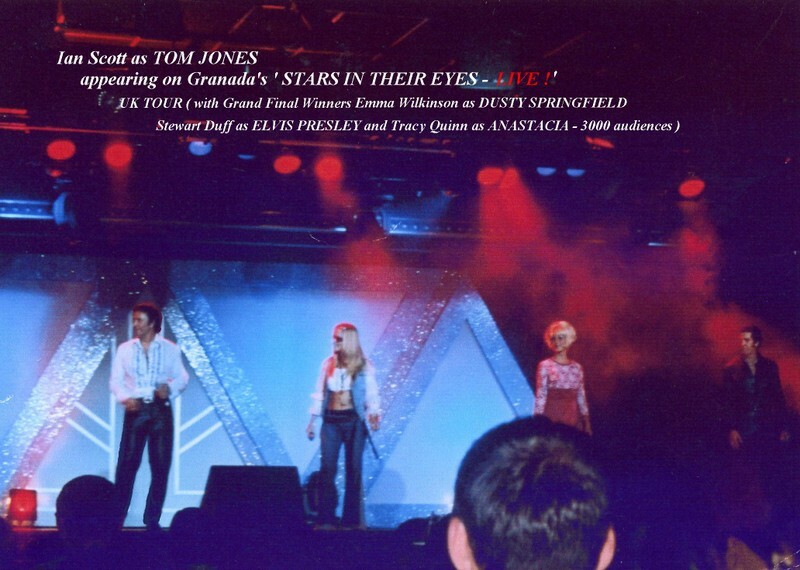 Star of Granada TV's "Stars In Their Eyes - Live" Stage Show in 2003 as a Tribute to Tom Jones, Ian was chosen by Johnny Caesar (who wrote "Come Home Rhondda Boy" for Tom) to record a demo for Tom himself. 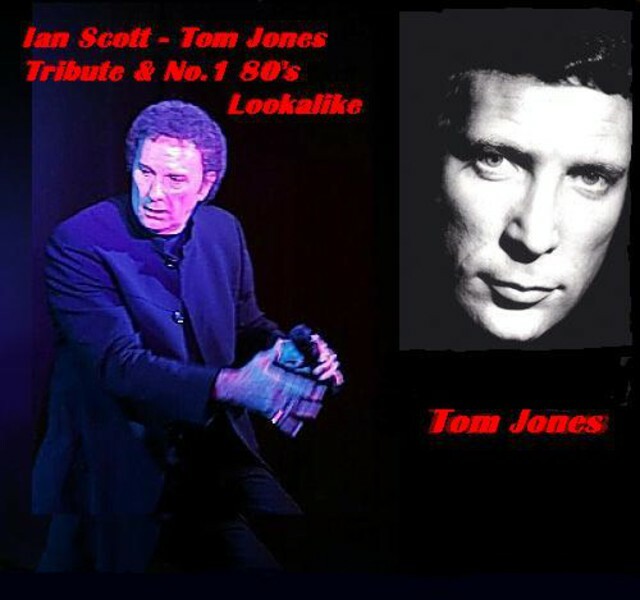 His Tom Jones Tribute is a regular act on the Welsh Hotel & Club circuit, mainly because he has the LOOK & VOICE- Ian is the most requested Tom Jones Tribute in Wales, he stormed the Millennium Stadium 3 times, Caerphilly Castle twice & a standing ovation at Pontypool WMC. 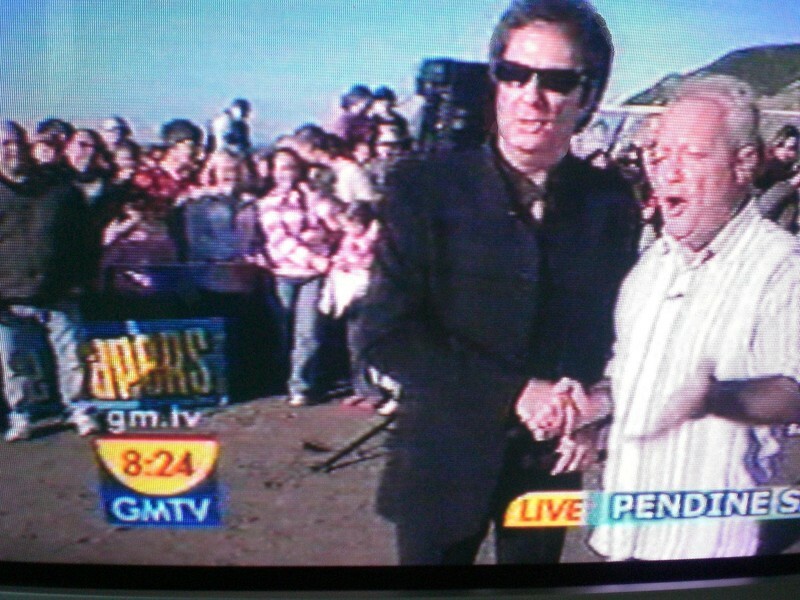 An amazing GOLD AWARD singer. 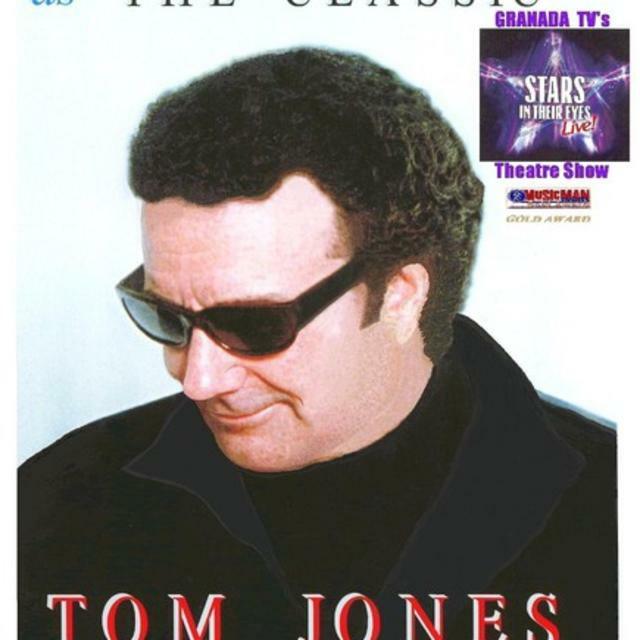 Tired of average singers doing Tom Jones without Tom's lung-bursting power? 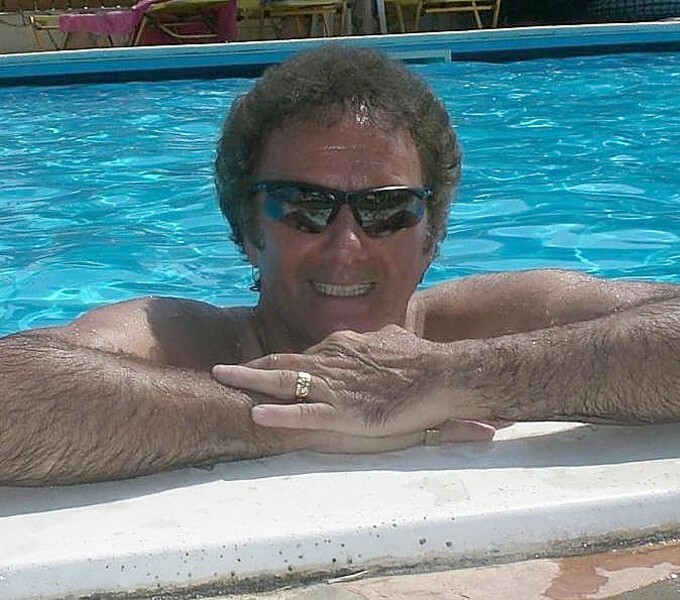 Book Ian now! Dynacord power/mixer 1000 watts, Peavey speakers, Senheisser radio mic and receiver, Sony MDS S41, LEDV lighting rig, smoke machine (optional), special effects lighting, Flag Backdrops.